Continue the fun at the Shanghai Disneyland Resort ! Easy access to the Oriental Pearl Tower via QR code. View at night is very beautiful but be prepared to queue for the lifts to head up. 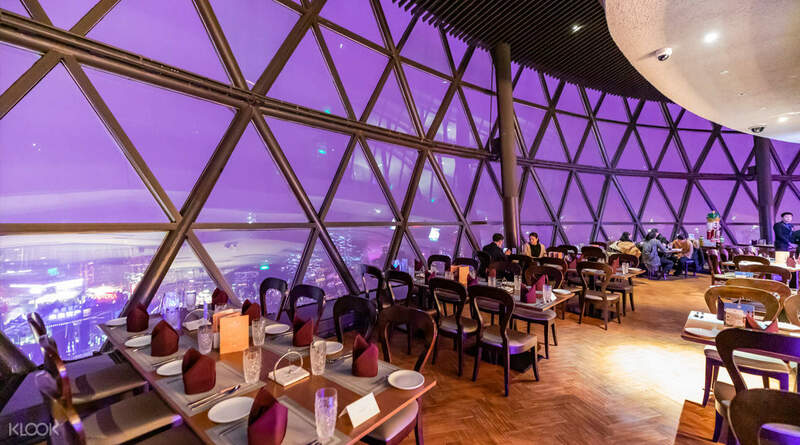 Spend a few lofty hours at Shanghai's Oriental Pearl TV Tower, the third tallest TV Tower in the world, and the tallest in Asia at 468 meters tall. 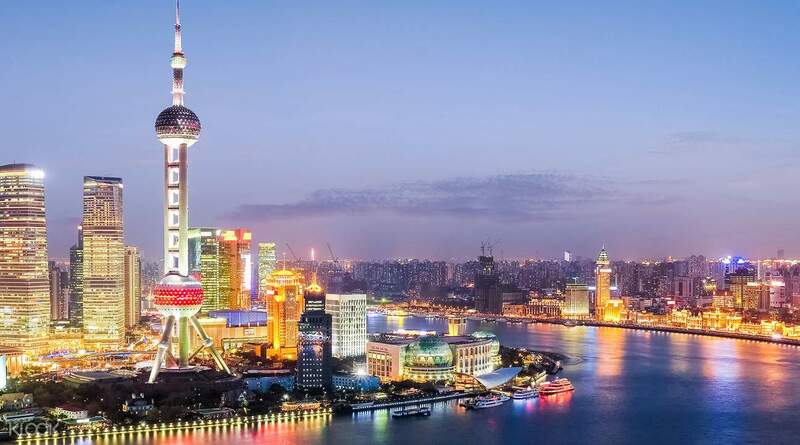 This enormous construction is arguably the most iconic building in Shanghai and incidentally one of the must visit destinations in the country. 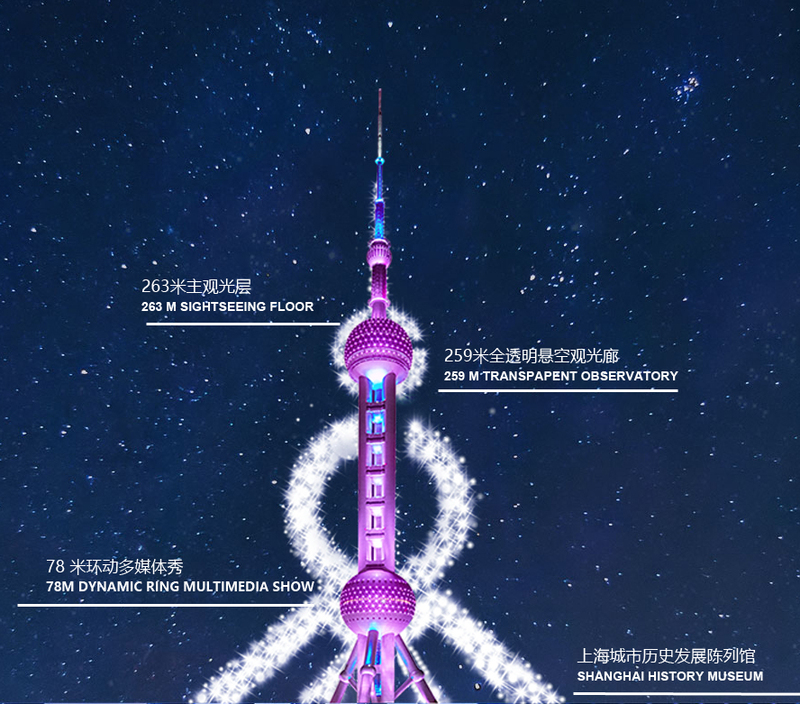 Visit the tower and get to explore its various viewing areas from the 63 meter main viewing floor, to the 259 meter Suspended Viewing Corridor - where you can admire the panoramic views of Shanghai's skyline (night and day), and more! 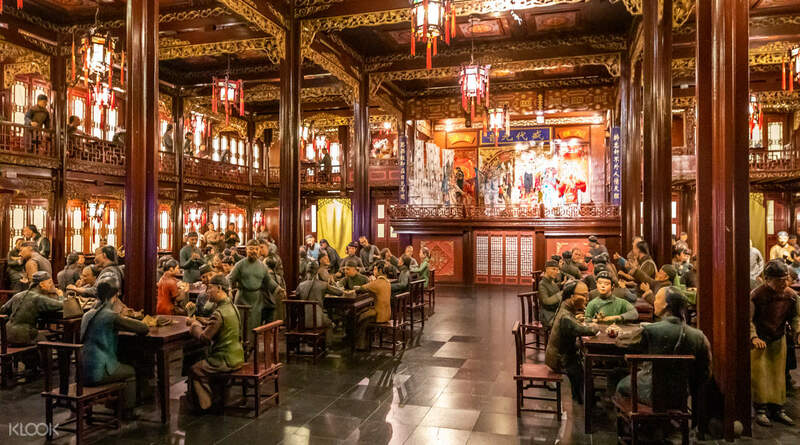 You can even learn about Shanghai's historical development at the Shanghai City Historical Development Exhibition Hall - all included with your admission ticket. There's even a VR roller coaster ride within the TV Tower, so make sure to check that out while you're there! 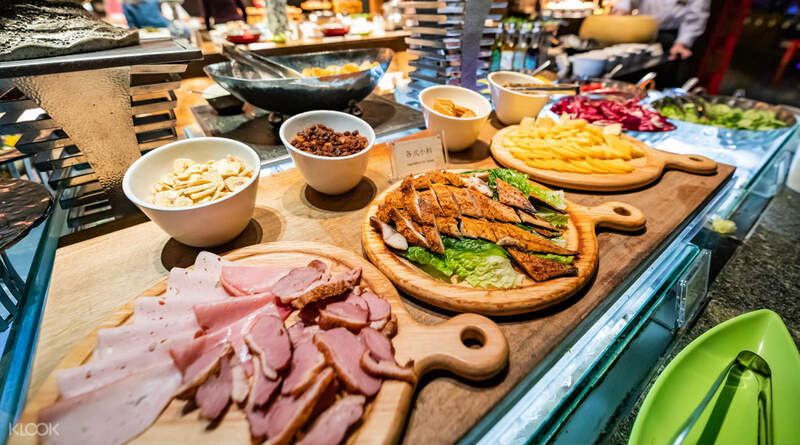 Check out the Revolving Restaurant Buffet while you're there! 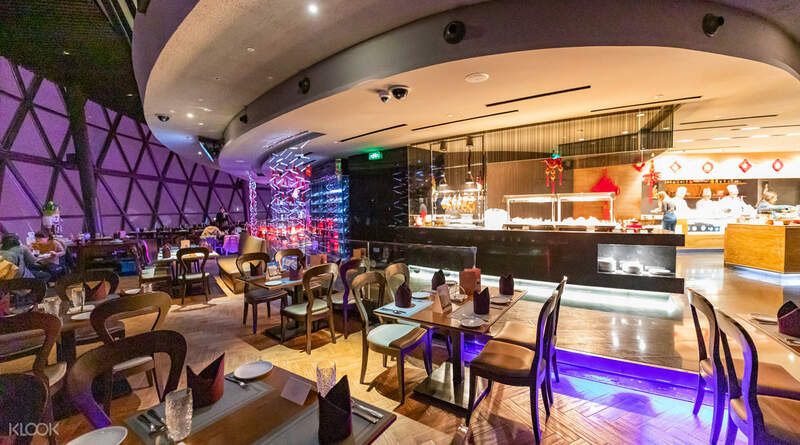 Fill your stomach with Chinese delicacies! We came to shanghai when a public holiday there called Qingming Festival and there so many people, so crowded and we have to que, but with this Klook, we que in diffrent line. Amazing experience especially at tranparent observatory. And in the lobby there's a mini park cocacola, like a mini museum of coca cola. We came to shanghai when a public holiday there called Qingming Festival and there so many people, so crowded and we have to que, but with this Klook, we que in diffrent line. Amazing experience especially at tranparent observatory. And in the lobby there's a mini park cocacola, like a mini museum of coca cola. fantastic experience even with old parent on wheelchair. The service staffs are all very caring and respect seniors. Guidance and clear instructions are given to expedite waiting queue. The views on the glass observatory level are marvellous! 360 degree views of Shanghai are impressive. suggest getting tickets before arrival as queue to purchase tickets are long. fantastic experience even with old parent on wheelchair. The service staffs are all very caring and respect seniors. Guidance and clear instructions are given to expedite waiting queue. The views on the glass observatory level are marvellous! 360 degree views of Shanghai are impressive. suggest getting tickets before arrival as queue to purchase tickets are long. Nice view. Not bad experience! It includes few activities to join especially the one in future part is quite interesting and the museum is out of my expectation so huge in there. Nice view. Not bad experience! It includes few activities to join especially the one in future part is quite interesting and the museum is out of my expectation so huge in there. Purchasing via Klook was really worth it and hassle-free. Straight head to the entry and the guard recognises the Klook redemption. It’s a magical view at the top. Would highly recommend purchasing this ticket from Klook. Purchasing via Klook was really worth it and hassle-free. Straight head to the entry and the guard recognises the Klook redemption. It’s a magical view at the top. Would highly recommend purchasing this ticket from Klook. There are lots of things to do and see in this tower. It's not just the usual observatory. It is recommended to purchase your tickets in advance as there is a very long queue at the ticket counter. Was able to get in easily when I presented my Klook voucher and scanned the barcode at the gate. But there is still a long queue to get to the elevator going to 263m floor which took an hour. When you get to 263m floor observatory, go down to 259m floor via stairs for the transparent observatory where the walls to floor are all glass so you see all things below. After it 90m floor for the VR roller-coaster but comes with additional fee. 79m for the 5D digital mapping show that is so nice where you stand in a revolving walkator while watching the show. And then the ground floor for the Shanghai History Museum, Coca Cola Mini Park and other shops. There are lots of things to do and see in this tower. It's not just the usual observatory. It is recommended to purchase your tickets in advance as there is a very long queue at the ticket counter. Was able to get in easily when I presented my Klook voucher and scanned the barcode at the gate. But there is still a long queue to get to the elevator going to 263m floor which took an hour. When you get to 263m floor observatory, go down to 259m floor via stairs for the transparent observatory where the walls to floor are all glass so you see all things below. After it 90m floor for the VR roller-coaster but comes with additional fee. 79m for the 5D digital mapping show that is so nice where you stand in a revolving walkator while watching the show. And then the ground floor for the Shanghai History Museum, Coca Cola Mini Park and other shops. Easy and convienet ticket entry. The views are amazing. Quite busy thought. The glass bottom walk is a bit freaky but super cool. We'll. Worth it. Easy and convienet ticket entry. The views are amazing. Quite busy thought. The glass bottom walk is a bit freaky but super cool. We'll. Worth it. E-Ticket via Klook.com can direct enterance without queuing can save our time. We direct enter via QR code only. E-Ticket via Klook.com can direct enterance without queuing can save our time. We direct enter via QR code only. It’s super easy! At first we don’t need to queuing on the first gate. It likes an vip. But after they scanned our tickets. We need to queuing again, and this time is long queuing. But after all is still nice. It’s super easy! At first we don’t need to queuing on the first gate. It likes an vip. But after they scanned our tickets. We need to queuing again, and this time is long queuing. But after all is still nice.